Building the perfect holiday look in this week’s Dress Your Table and Yourself challenge? We love Ted Baker’s dresses for festive fête’s this time of year. Never overdone, but always with the perfect element of flare, his styles will complete your holiday wardrobe. His Enid tunic ($325, Bloomingdale’s) pairs beautifully with Jimmy Choo’s Anouk pump ($595, Jimmy Choo) and the perfect topper, a gold bow headband from Tuleste ($125, Bluefly). We’re in love! Speaking of love, have you checked out THE TOPPING TREE‘s amazing line of headbands and hair accessories? All of their styles are handmade with love”. We’re BIG fans of their knit headbands, just in time for the chilly winter months! They’re giving the TOP 3 closets in this week’s FINALS each a $25 gift card, so pick out your favorite now and head to www.BattleShop.co to start your closet today! If you’re looking to add serious luxury to your Dream Bedroom closet at BattleShop this week, search no further than Carine Gilson and her twenties inspired silk-satin robes. These gorgeous lace adorned works of art would suit any fantasy fashionista in training. Her handmande haute couture designs are nothing short of spectacular. With a $15,000 budget this week, you owe it to yourself to check her out! Whether or not you lock a luxury robe in your Dream Bedroom closet this week, you could win a little extra luxury of your own by finishing in theBattleShop TOP 3. Thanks to our friends at BERGIE’S, the FINAL 3 Most Valuable Closets will each be getting a pair of these ridiculously soft socks (seriously you guys, so soft) along with $100, $50 and $25 AMEX gift cards! What are you waiting for? Head to www.BattleShop.co today and start fantasy shopping! Are your guns ready for summer? 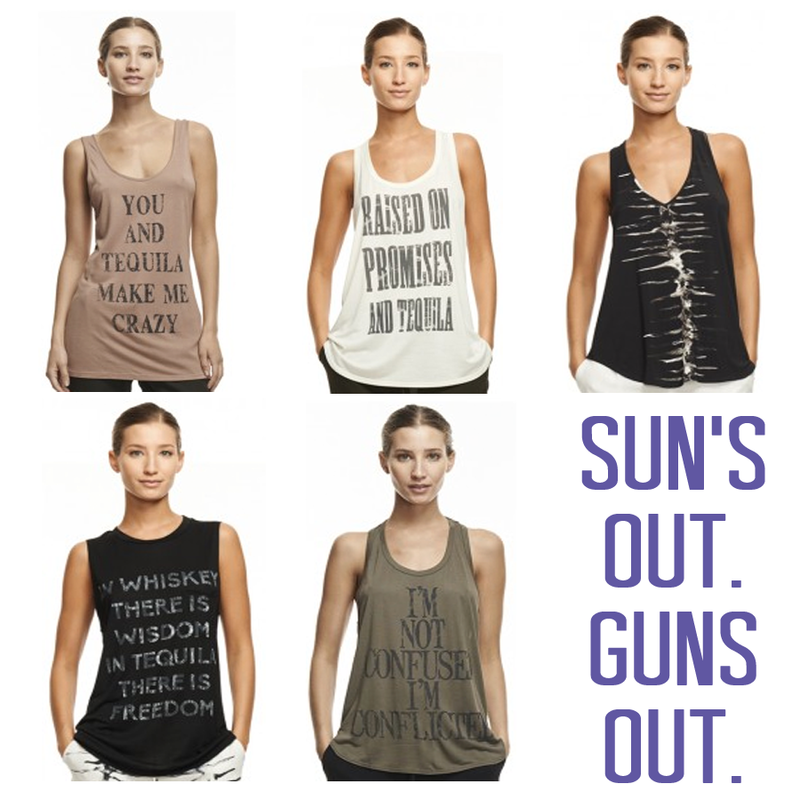 These party-girl-inspired tanks from Haute Hippie are perfect for showing off your sun-kissed summer arms. Check them out! 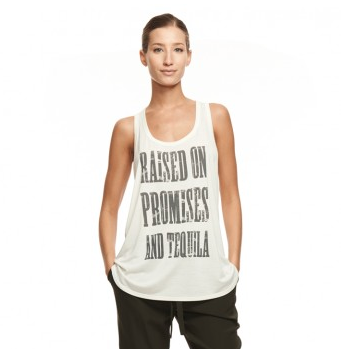 As we all know, Sarah Jessica Parker rolled out her eagerly anticipated line EXCLUSIVELY at Nordstrom last week. While the line is mainly shoes, SJP includes a few handbags and a sweet trench coat in the collection. Nordstrom is selling out like crazy so not all of the line is always up on their site. Check out some of the highlights from the line below and tell us your thoughts! Overwhelmed, underwhelmed or just what you envisioned? Let us know! We haven’t had a crush like this since junior high! These gorgeous bags by Yliana Yepez are such heartthrobs, we’re having a hard time not looking desperate. We could have pinned more, but we had to control ourselves. Which one’s your favorite? To see what other designers we’re “pinning” away for, check out our 3.1 Phillip Lim, Isabel Marant and Jennifer Meyer Jewelry DESIGNER CRUSH boards and follow us on Pinterest!